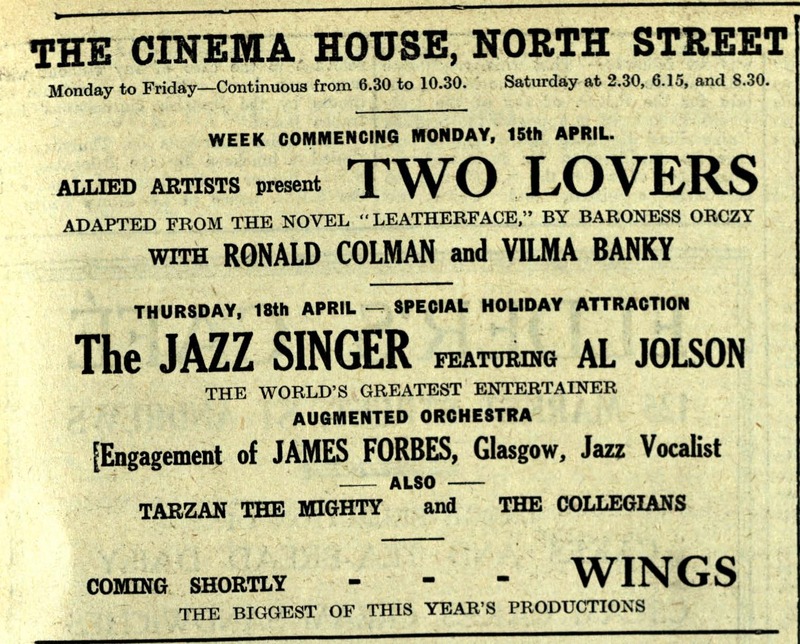 Al Jolson’s famous first talkie, The Jazz Singer, opened at the Cinema House in St Andrews on 13 April 1929, almost a year and half after its famous opening in New York City in October 1927. However, the Cinema House was still only equipped to screen silent pictures. 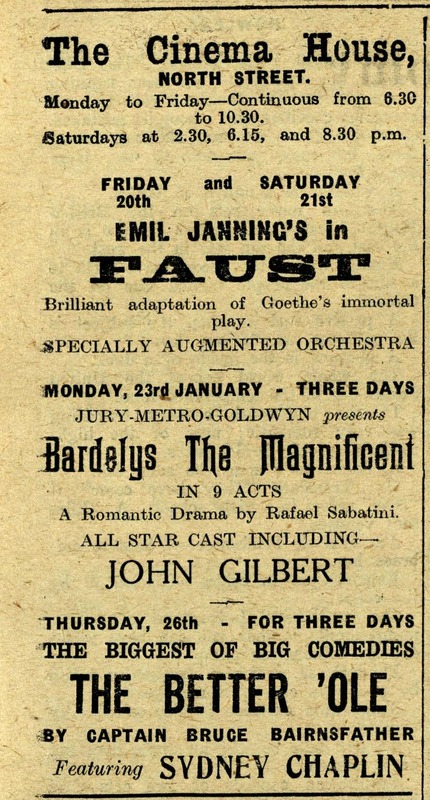 The film was advertised as being shown with ‘augmented orchestra’ joined by a special performance of a Glasgow jazz vocalist James Forbes. Though a key moment in the history of sound cinema, Jolson’s famous first synchronized talking dialogue in The Jazz Singer—‘Wait a minute. Wait a minute. You ain’t heard nothin’ yet’—was in St Andrews emblematic of early sound audience’s ‘unsynchronized’ experience of sound cinema: namely of the delayed exhibition of sound films without sound. 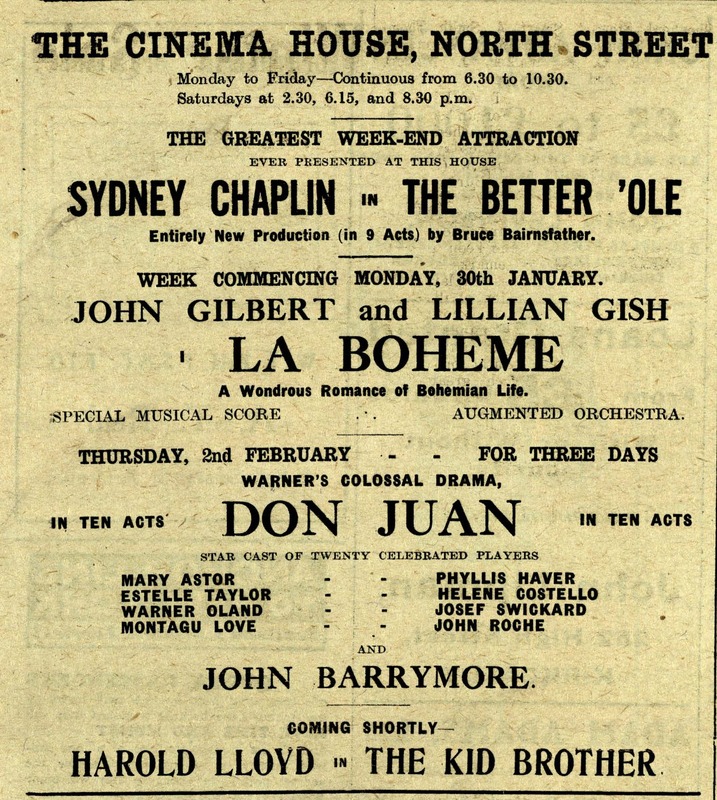 The slow and cautious conversion of local cinemas to sound was not unusual at the time. 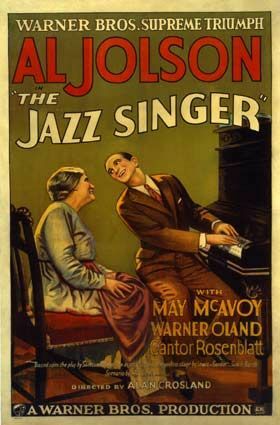 The Jazz Singer underwent the same fate in Edinburgh, opening silently at the Princes Cinema on 13 June 1929 together with Emil Jannings’ All For A Woman. Furthermore, the films shown throughout 1929 in the Cinema House were still predominately Hollywood silent films, such as Harold Lloyd’s Speedy, Douglas Fairbanks’s The Gaucho, and Emil Jannings’s The Last Command and Tartuffe. 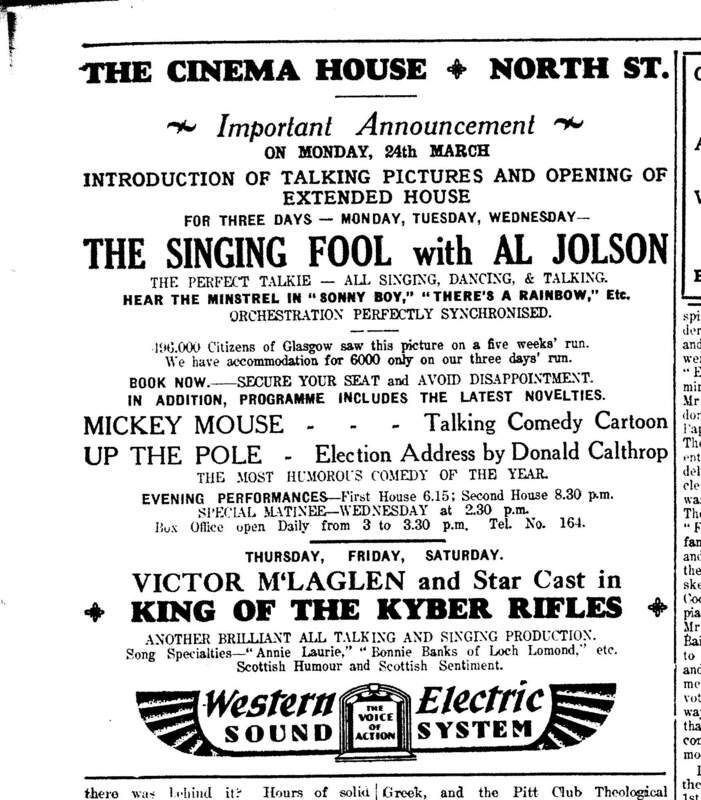 It was not until March 1930 that the Cinema House finished its sound installation and embraced the sweeping enthusiasm of talkies with its screening of Al Jolson’s The Singing Fool (directed by Loyd Bacon, 1928) and Victor McLaglen’s King of the Kyber Rifles (John Ford, 1929). Technical renovation of local cinemas for sound was slow going in 1929 for a variety of reasons. Before 1931, cinemas had to purchase sound equipment from American companies. The installation was slow and expensive, costing between £2500 and £4000 and committing the theatre to an additional weekly maintenance fee for eight years. The long installation and contract and the exorbitant costs appalled many small cinema owners. In addition to these difficulties, there was a growing concern about the future of talkies. Despite the box-office success of the early talkies in America and London, many critics maintained a skeptical outlook and urged for improvement ‘both technically and artistically’. The uncertainty within the film industry and the lack of a sufficient amount of quality talkies echoed with the slowing pace of the local transition from silent to sound. Even though the 1927 Cinematograph Films Act was initiated to revitalize British film production and exhibition by establishing import quotas, it became entangled in the faltering British transition from silent to sound cinema. This attempt to stimulate British production largely resulted in poor quality quota talkies during a time when it was most needed. The Citizen (13 April, 1929): 10. The Scotsman (13 June 1929): 1.